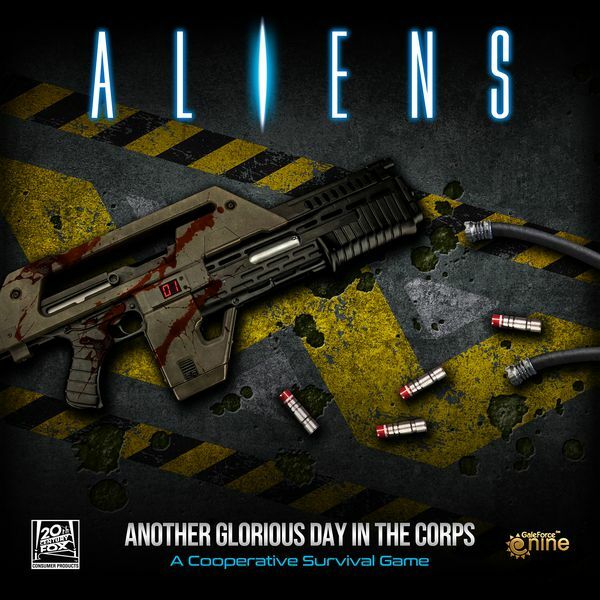 Aliens: Another Glorious Day in the Corps! 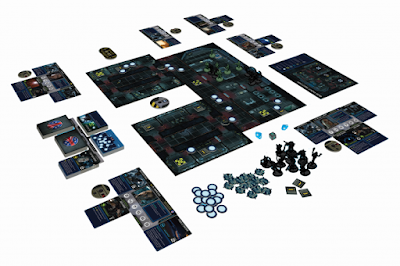 is a co‑operative survival board game where you and your team of specialist Colonial Marines will gear up with serious firepower and head into Hadley's Hope to find survivors and answers. But you're not alone. 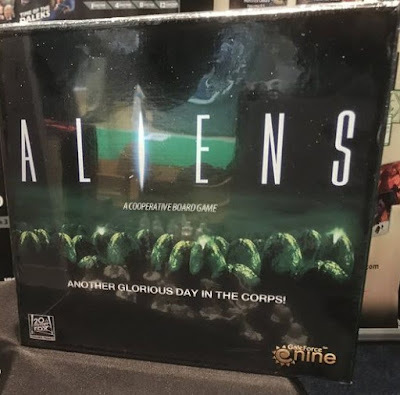 To survive, you'll need to work together, keep your cool, and stay frosty to fight off relentless Xenomorph ambushes and get out of there alive. Players can play up to nine different missions, taking them into different areas from the Hadley’s Hope terraforming facility to the deep, dark recesses of an xenomorph nest. Aliens also offers an exciting campaign mode to play four of the missions linked together, so players will need to fight relentless xenomorph attacks and keep each other alive all the way to the end of the campaign. The remaining two missions are purely about survival, it’s kill or be killed. The players are dropped into the game with nothing more than a pistol. They will need to scavenge weapons and gear while hordes of Xenomorph aliens are trying to get at them. How long can you survive against the odds? The game is hopefully expected to be released first quarter, 2019. So what do you think? Is this something you'd be interested in? Let me know in the comments below.